Many different types of dance classes are available for children, from modern dance, ballet, tap and jazz to dance that celebrates unique ethnic and cultural traditions. What’s the most important thing for parents to keep in mind when choosing a dance class? It’s that research has proven that dance provides physical, developmental and artistic benefits to your child. Physical Benefits – Students build muscle strength while increasing flexibility. Young dancers develop a sense of balance and improve agility and coordination. Importantly, children also develop body awareness and learn correct posture. These benefits extend beyond a student’s involvement with dance, helping youth involved in other disciplines, such as sports and martial arts. Studies have shown that physical activity helps children relieve stress and feel relaxed. It also is a great way to help your child develop a positive lifelong attitude about staying active and healthy. Developmental Benefits – Dance classes are fun and a great way to meet new friends. 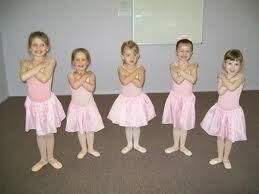 Young dancers develop essential social skills through interaction with other students. Group choreography fosters teamwork, communication, trust and cooperation. Dance also has been proven to nurture important life skills, such as discipline and focus. Dancers naturally display confidence, self-esteem and poise. These skills are developed through participating in dance performances. There is one final reason to get your child dancing. Research proves there is a strong link between involvement in the arts and increased educational achievement. In fact, one study showed that “students who participate in the arts are not only more likely to participate in a math and science fair, but also out-perform their peers on the SATs by 87 points. These educational benefits are gained by students regardless of their socioeconomic status. There’s sure to be a dance class that fits your child’s interests and your schedule, so why wait? Enroll your child in a dance class. The lessons she or he learns will last a lifetime.